It is difficult to say - to have two cars, and not one - this is good or bad. It seems good, prestigious somehow. On the other hand, extra costs for repairs and refueling. But the fact remains that if there are two vehicles, then for each of them you need to build a separate garage or make one double. 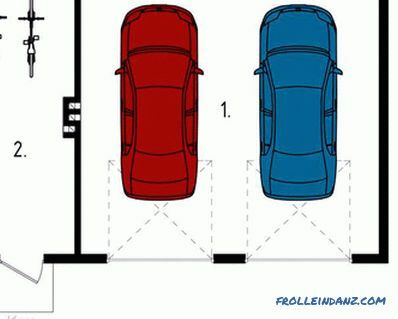 In this case, both cars will be side by side, and the room is one. After all, if you rent a parking space in the city, it is not always possible to find two adjacent ones standing in the same cooperative. Before you build a garage for two cars, we recommend reading this article. Before than to begin construction, you need to know the dimensions of their cars. Let's start with their length. 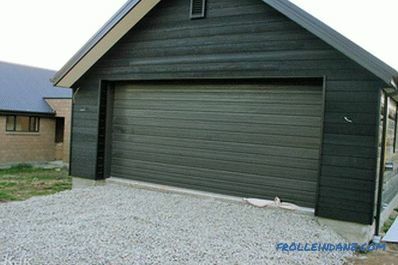 The length of the garage should take into account the dimensions of a larger car. For example, if you plan to drive a car for transportation and a passenger car there, then it is clear that in terms of volume the carrier (for example, Gazelle or the same Ford) will be longer and higher than a foreign car type. 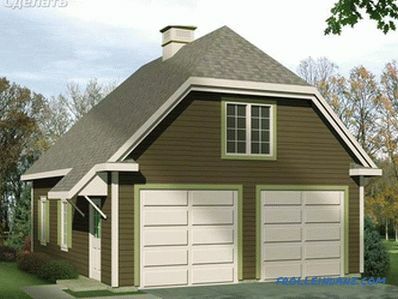 What you need to know when creating a garage plan for two vehicles? On the plan it is necessary to note the locations of windows, doors, gates, besides, one should take into account the place for their opening (outside). The length of the building should not be too close to the machine, because it is necessary to even go to the gate and close them (if they are swinging). And to do this, if practically near them is the hood of the car, it is not convenient. The first option is convenient only if there is a place to turn around. In this case, the building will look like this: four walls, one gate (with the edge or in the center), several windows at the request of the customer and the door (into the courtyard or directly at the gate). At the same time, it is not very convenient if the room is small - in order to drive out the car, which stands at the end, you have to go to the one that stands on the edge. Then you need to put this car in place. The inconvenience is solid! It would be much better to look at the garage, which has two gates for the arrival of each car. Moreover, between them you can put a partition with a doorway. 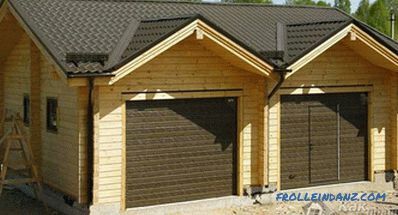 In addition, if the overall dimensions of the machines are different, the garages for each of them may have a common roof, but different sizes, or even vary in height. Construction begins with the construction of the foundation. It is possible to dig trenches under it, in which the foundation blocks will be placed or the pre-reinforced concrete mix will be poured. 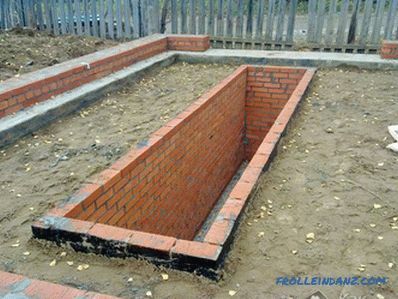 If you plan to make a repair pit or basement, then it is worth digging a pit, also using concrete blocks. the presence (if provided) of the crane beams. 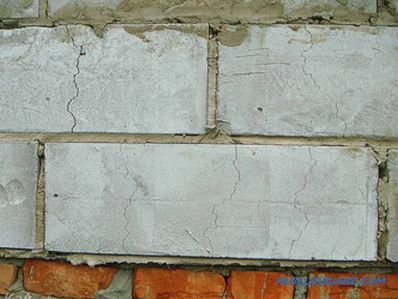 Walls are made of materials such as brick, shell rock, cement blocks, foam blocks and similar material. 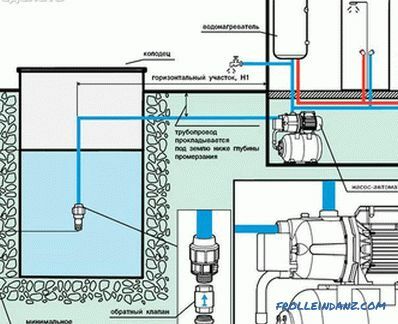 They can immediately leave holes for ventilation, exhaust and, if there is, sewage and water supply (if you plan to do repairs in the garage, you will need to wash your hands there or wash the parts from the sand). On the top of the walls, it would be nice to make an armopoyas. This special design, which will give them strength. It is made by pouring concrete into the formwork, installed on top, of concrete with laying reinforced frame. 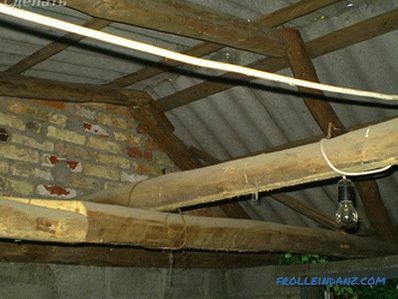 If wooden trusses are provided as a roof, it is possible to install embedded parts for them in the armored belt. 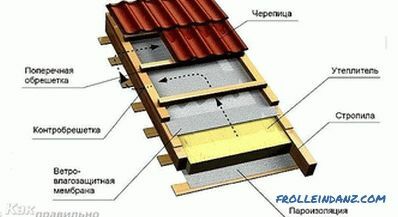 The roof, as mentioned, will be suitable for floor slabs, you can order or make them most, as well as wooden trusses, on which a covering will be put on the crate (slate, decking, metal tile). If it is decided to lay the slabs, then they must either be ground (smeared with bitumen or something like that) or covered with trusses. Nowadays, metal trusses have become popular. With appropriate anti-corrosion treatment, they become more durable than wood, which is prone to rotting and the impact of termites. After the electrical work is done, you can finish. The ceiling can be whitewashed (painted), covered with wooden pressed sheets, install a suspended ceiling. 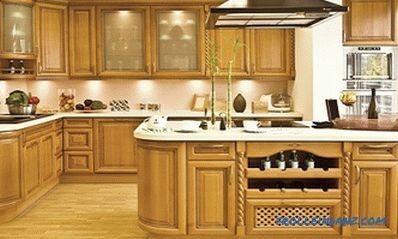 The main thing is that it does not spoil from the damp, which to a certain extent will still be present in the garage. 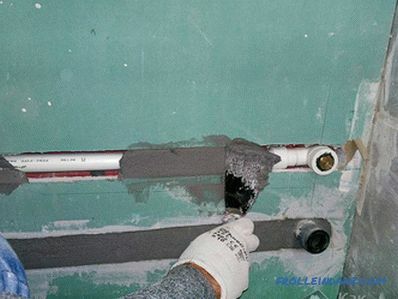 The walls are plastered and covered with a thin layer of putty. 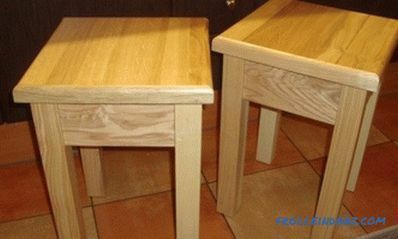 Then they are painted with water-based paint or ceramic tiles are glued to them. A floor - the cement and sand coupler leveling it becomes becomes.It is also possible to lay a stable tile on it, which will not crack under the weight of the machine (but in no way slippery). Gates, if they are made with your own hands, it is best to warm and sew , and metal - to be primed and painted over. If they are automatic, then nothing is needed. You can insulate the walls (foam sheets, 50mm thick), then apply a reinforcing mesh and exterior finish (bark beetle, plaster or something else). As a result, we get a comfortable and warm garage, in which it will be convenient to put two of our cars. And how did you build a two-car garage? What materials were used for walls and finishes, what foundation was laid? Share your experience with our readers by leaving comments.